The Apple Tablet, a riddle wrapped in a mystery inside an enigma, has just gotten a little more interesting. 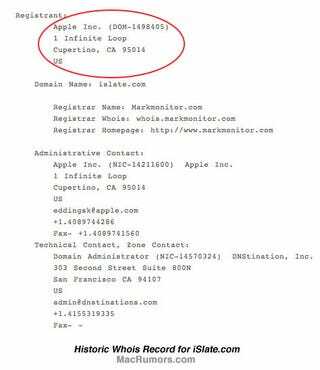 Thanks to some crack investigative reporting, MacRumors discovered that Apple purchased the domain for "islate.com" back in 2007. Dum dum dum!